A: I was sixteen!! Sixteenth birthday gift, I was dying to get my first tattoo- I decided on the phrase “everything is temporary” in my mother’s hand writing- a phrase she has been repeating to me my whole life. The pain won’t last baby. 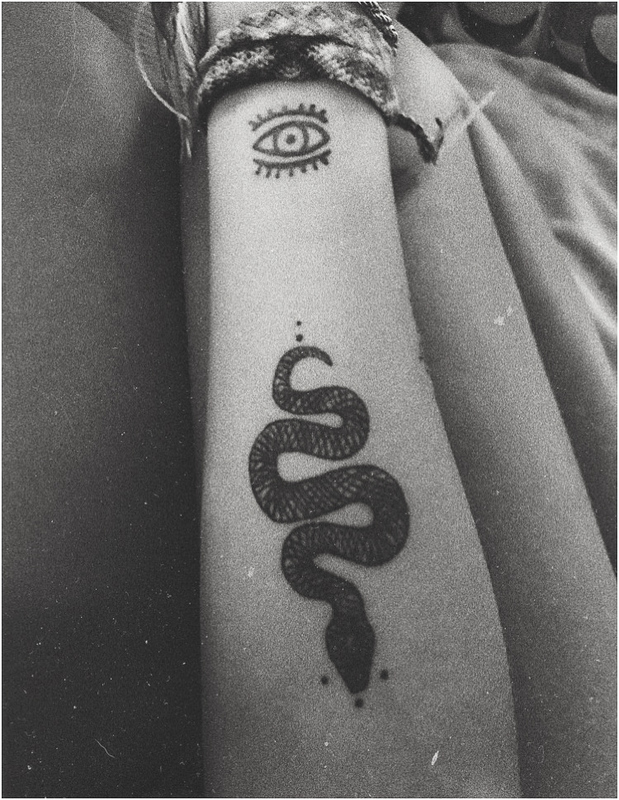 A: My favorite one is either my snake tattoo or my lover tattoo, I just feel strongly identified with both of them. I'm no snaaaake but i’ve always admired the beauty and the bite of a snake. And as for the lover tattoo? I’m just a lover, in every way and all ways, plain and simple. A: Yes, I did, and then I got it covered up, note the answer below to get the scoop. A: On impulse one day I got a tattoo that said “gypsy wild” on my arm, cause growing up people used to always call me a “little gypsy” and a “wild thing” so I combined the two. When I posted the picture of the tattoo I was met with immediate backlash, people started aggressively calling me out saying I was racist and politically incorrect and I was devastated. I meant no harm and didn’t know the word had any racial implications, so I waited a few years and then got it covered, cause the feeling just never went away. 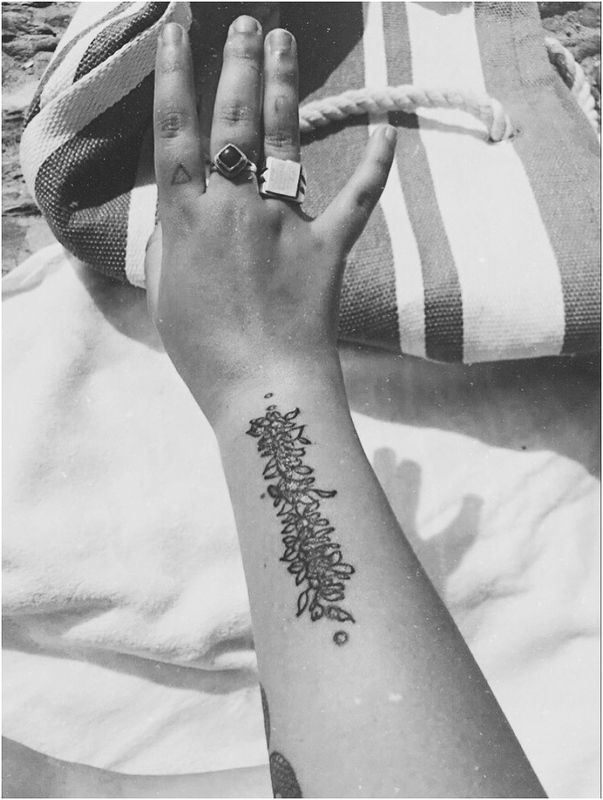 A: I love tattoos because they are a visible expression of the soul, I am an open book, and I love love love that they start conversations. Q: Do you plan on getting any more? A: Not so hungry for them anymore, but down the road i’m sure i’ll probably add in a few more to the collection. Q: Tattoo story worth sharing? Q: If you could pick one tattoo that best represents you, what would it be? A: My lover tattoo!! Not even worth a long explanation, it’s self explanatory. A: Don’t listen to anybody's opinion but your own and make sure the tattoo means something to you, or it doesn’t have to! It’s your body! Keep that in mind. It’s your body, so you have to weigh out the pros and cons, no one else can do it for you. 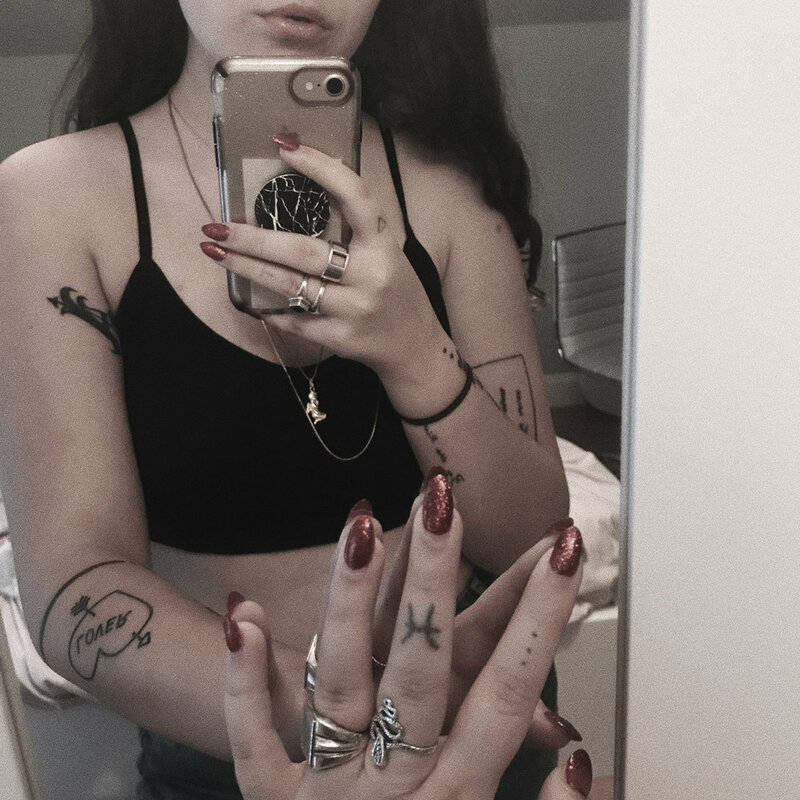 Big thank you to Molly for spilling the T on her tats. Go give this gal a follow, you can find her on insta @mollysmood!